Kids will love the play places in Missouri where they can spend all day simply being a kid. Kid's play places are great for a day out with the family. See our complete guide of walk-in Family Fun centers in MO. Bounce U should be booked if you want to throw a birthday party for your kids and you know that all they want is to play and have fun. The location has many inflatable structures so kids will need all their imagination and energy to make the best out of them and the time spend here. Other types of parties can also be organized, as well as field trips or scout parties. 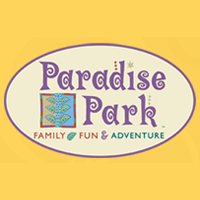 Paradise Park offers great fun opportunities for the whole family and especially for the kids. Among the attractions, you can find the Children's Edutainment Center (CEdC) designed for kids under the age of 9, an outdoor maze, bumper cars, rock wall and much more. Kids will learn a few things while having fun at the same time. Each attraction has its own price that is based on age and even the adults have to pay depending on which attraction they attend. If you plan on spending a fun day with your kids, Pump It Up in St Charles, MO is the ideal place for a fun day off. The popular play place is suitable for birthday parties but also for everyday fun and you can be sure your kids will love it. 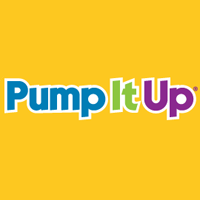 Pump it Up offers many different events for children of any age, at any time of the year and birthday packages are also available. 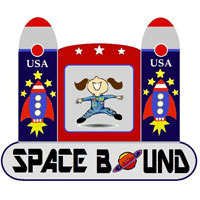 Space Bound is a place for kids of all ages that want to play. The admission fee depends on the age of the kid, as follows, $7 for kids over 3 years old, kids between 12 months and 2 years of age $5. Parents have free admission and Wi-Fi access and toddlers younger than 17 months can get in for free if they have a paying sibling. There are several packages and offers one could take advantage of, such as lower fees if they arrive 1 hour before closing time, or early in the morning. The location is closed on Wednesday and Thursday. 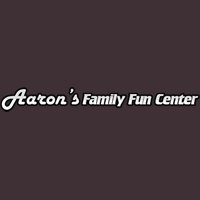 Aaron's Family Fun Center in Harrisonville, MO is a fun place to visit on a summer day with your family. Your kids will have a great time engaging in the many activities such as bowling, golf and volleyball. The fun center features 32 bowling centers, a restaurant and lounge where you can eat and rest, and more. Aaron's Family Fun Center also includes a bar for the adults who want to enjoy a drink. Jump Mania in Springfield, MO is a play place recommended for both children and adults. The fun place includes slides and bouncy obstacles, all expanded over a large 8,700 square foot area. 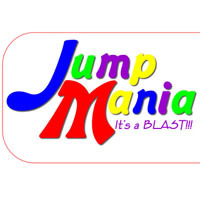 Jump Mania offers full day passes for families who want to spend a whole day having fun. Different events take place every week including Sensory Nights for autistic families, Glow Nights and more. When you get hungry, head over to the concession area and get a taste of the yummy snacks. Miner Mike's in Osage Beach, MO is a fun and exciting play place that will not disappoint any kid. The indoor facility features games, rides, good snacks and an enjoyable atmosphere for an affordable price. The play place is located on over a huge 35,000 sq. ft area and any private event and birthday party can be organized here. Packages for the rides range from $8 to $14, depending on the attraction and the child's age. 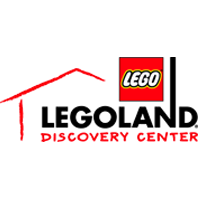 Legoland Discovery Center in Kansas City is a place where kids of all ages love to go to. One of the available attractions is the Lego City Play Zone where kids can pretend they're enrolled in the fire academy, that they work at the coastguard tower or on a construction site. Of course, no dangerous objects are involved, but you must make sure your kid is fit for the attraction you want them to attend. All kids must wear socks. 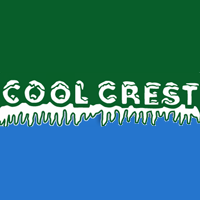 Cool Crest is a popular family destination in Independence that has at least 5 attractions meant to entertain both you and your kids. They include a video arcade and Kidsgym Playland. Frankie's Pizzeria offers hotdogs, ice cream, other snacks and something to drink and parents can enjoy a coffee instead of a soda. The location is open 12 hours a day Monday through Thursday, starting at 10 AM, on Fridays and Saturdays it closes at 12 AM and on Sundays it opens 1 hour later. Tee Time has 6 attractions for its visitors, including a 3D maze and a softplay area. Prices are designed based on the attraction, age of the visitor and in some cases number of people. Some of them are free of charge, such as the softplay area or the kids under the age of 4 attending the 18 hole mini golf. The location can be accessed 12 hours daily from Sunday through Thursday and 14 hours on the remaining days. The opening hour is 10 AM daily and only the closing hour changes.